Kenneth Chikwe, an ex-policeman, and another man identified as Livingstone Uzohu, have been arrested in Awka, Anambra State, for allegedly robbing two brothers of their cars. 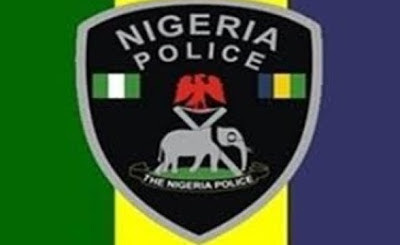 According to Punch Metro, the Commissioner of Police, Anambra State Police Command, Mr. Garba Umar, disclosed this at the police headquarters in Amawbia, in the Awka South Local Government Area of the state while parading some suspected criminals. He said following a distress call that the two brothers were robbed of their cars, the police launched an investigation, which led to the arrest of the dismissed policeman. Umar said the ex-policeman had bullet injuries when he was arrested, adding that his confession led to the arrest of his alleged accomplice, Uzohu Livingstone, 51, in Owerri, Imo State. The CP said the two cars were recovered from the suspects. “Both suspects have provided useful information that can lead to the arrest of other gang members and possible recovery of other stolen vehicles,” he added. Umar said a Range Rover, Toyota Hilux, one AK-47 rifle and 20 rounds of live ammunition were recovered from the suspects. According to Umar, other items recovered from them include one K-2 rifle with 15 rounds of live ammunition, one pump-action gun with five cartridges and one locally-made pistol. Umar added that a three-man child stealing syndicate was arrested in September by the command. He gave the names of the suspects as Oluchukwu Nwajide, 19; Chukwuebuka Ugwu, 19; and Kosisochukwu Nwacho, 18. Umar said preliminary investigations revealed that the suspects stole a five-year-old male child from Agbo village. He said the suspects were arrested at Nnokwa community, in the Idemili South Local Government Area of the state, while the victim had been united with his family. Also paraded were 10 other suspects arrested in connection with robbery and kidnapping. The commissioner said the suspects would be charged to court as soon as investigations were concluded. While assuring the people of the state of improved security, Umar said policemen were ready to confront criminals in a bid to protect lives and property in the state. He said, “I want to advise all aspirants who plan to use political thugs in order to disrupt the forthcoming election in the state to have a rethink. The police will deal with anybody that want to truncate the peace in the state. He said failure to adhere to the instructions would attract legal consequences, which would include closure of such hotel.